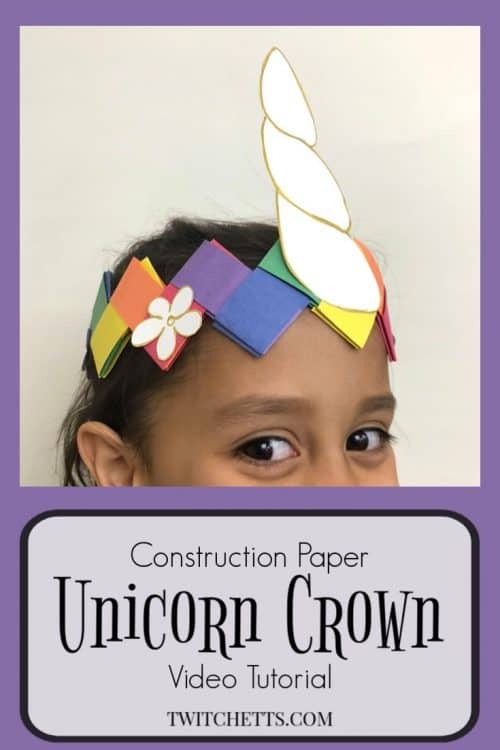 Create a fun unicorn crown using construction paper. 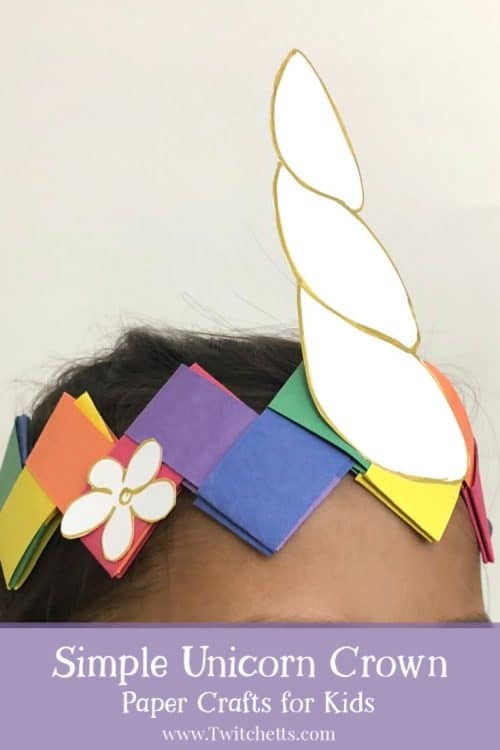 Your child will love wearing this paper crown while pretending to be a unicorn. Time goes by but there is one thing my little girl is still in love with… Unicorns. Yours too? 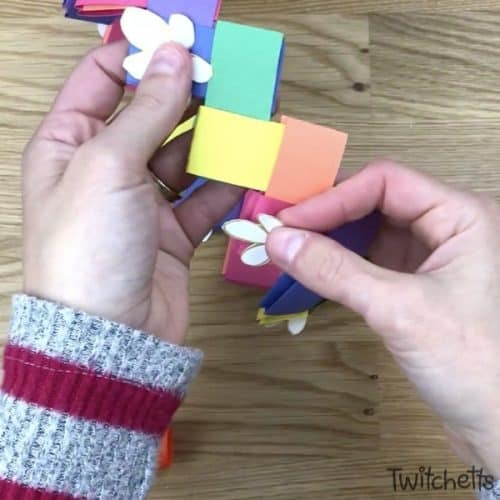 Well, this is a fun little paper craft you can make and then use for dress up. It is sure to bring a smile to your unicorn fan. 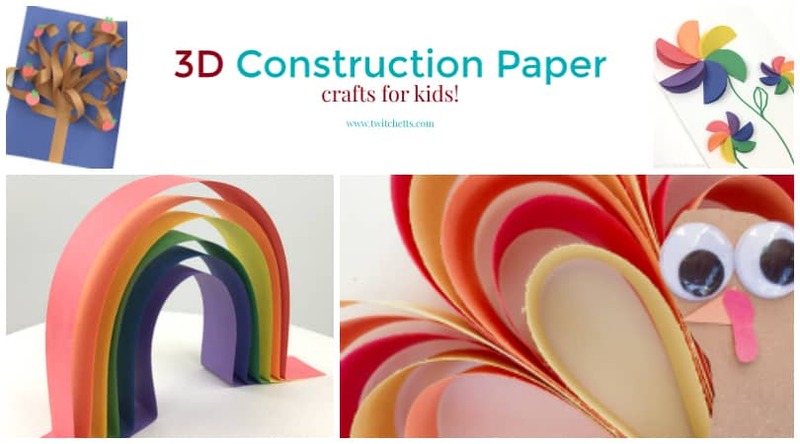 It starts with a craft that you can find in our book, Construction Paper Crafts For Kids. We take it to a magical level when we add a unicorn horn and some flowers to create a fun unicorn crown. Construction Paper. 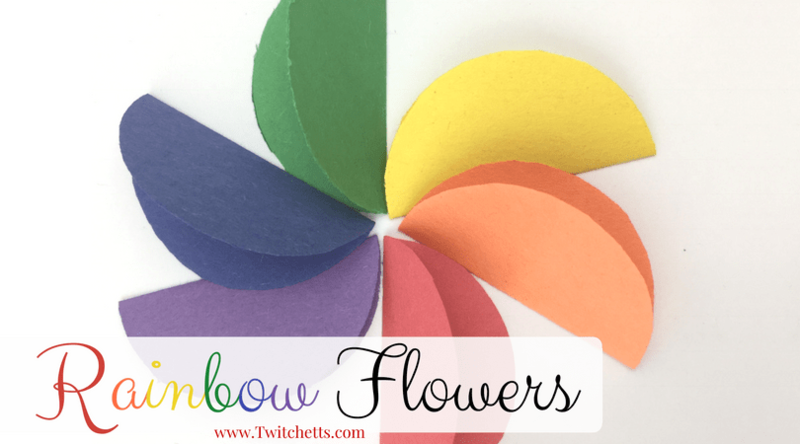 We used all the colors of the rainbow, but whatever your little ones like will do! Need supplies? 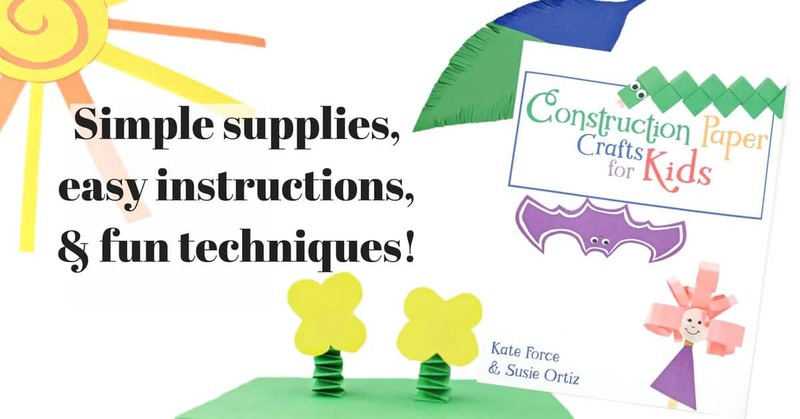 Check out our shop on Amazon for all your paper crafting needs!! 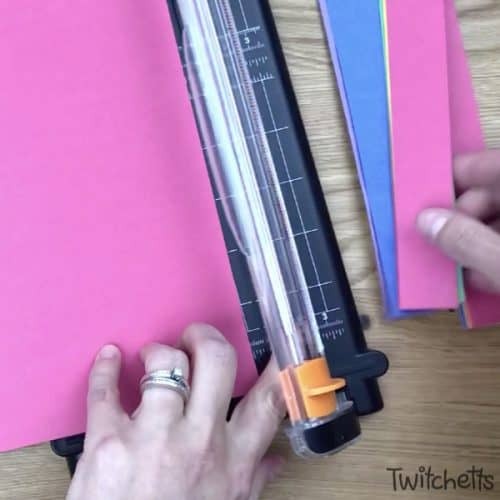 Start by cutting 1″ paper strips, using the shorter length of the construction paper. 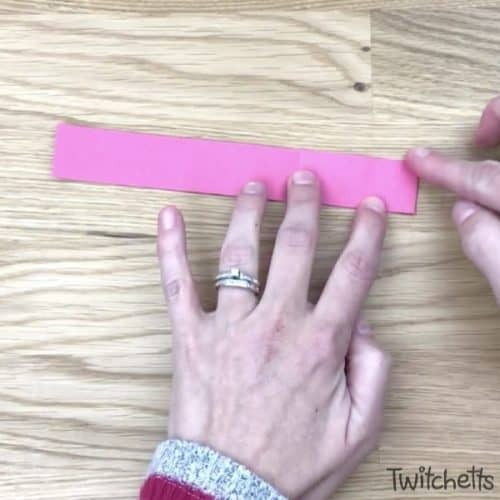 The amount of strips you need depends on the size of your child’s head. 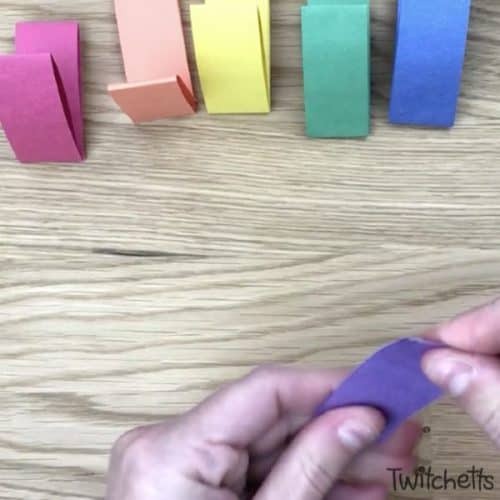 Fold a strip in half and crease. 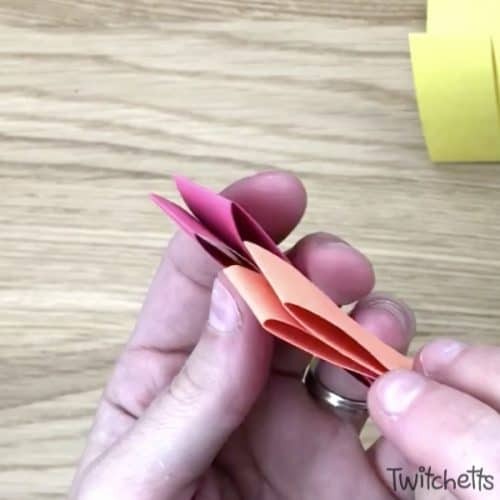 Unfold and then bring each end to the middle and fold. 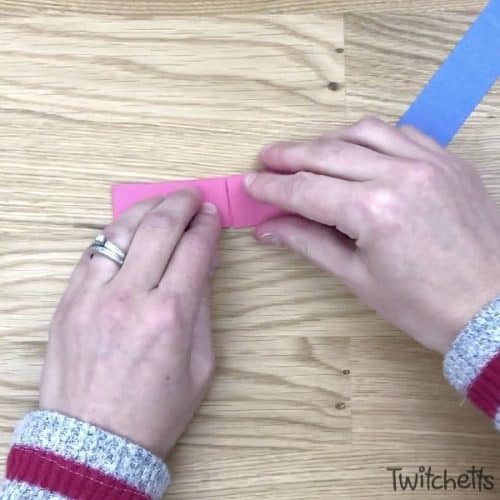 Then fold at the center crease again. 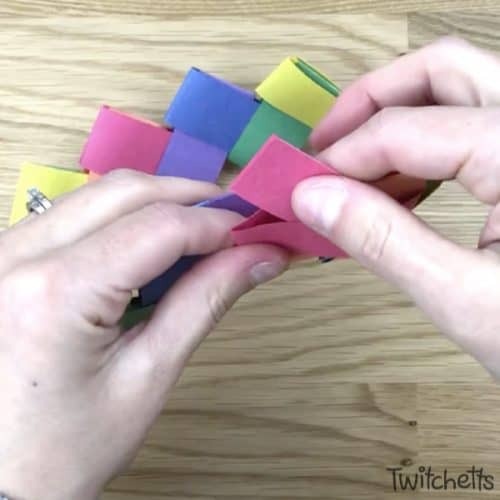 Keep doing this until you have a handful of folded strips. 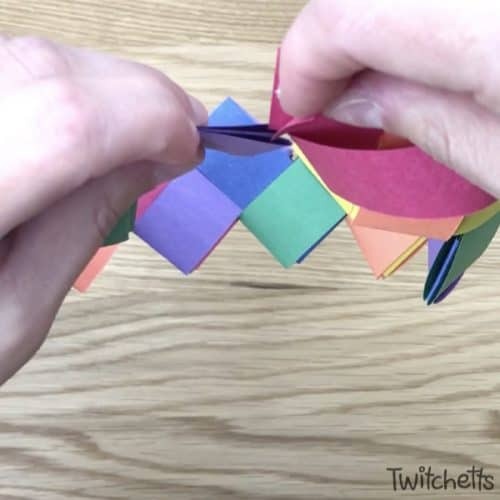 To assemble your crown, take two strips and attach them by placing the 2 folded ends through another pieces’ loops. 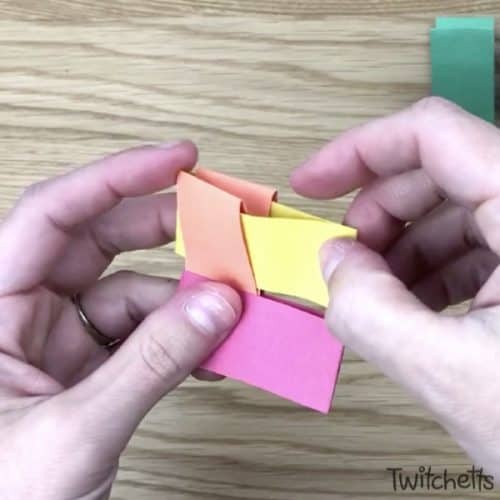 Slide them in to create a 90-degree angle. Then take your next strip and slide it through the loops that went through the first. This will create a zig-zag. 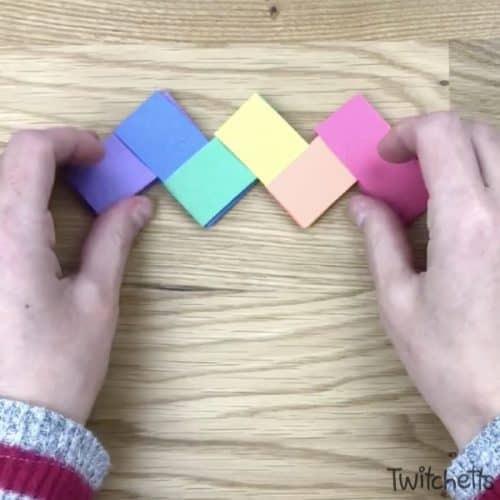 If you created an almost square you have the 3rd piece in backward. 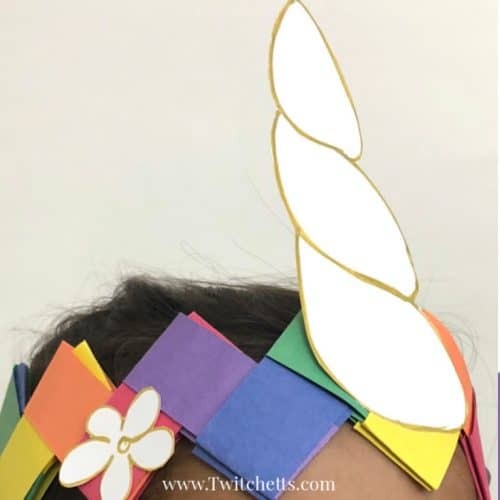 Continue this process until you have a unicorn crown that will fit your child’s head. The last loop is a bit tricky and the little ones might need some help. Watch the video if you need to see it in motion. 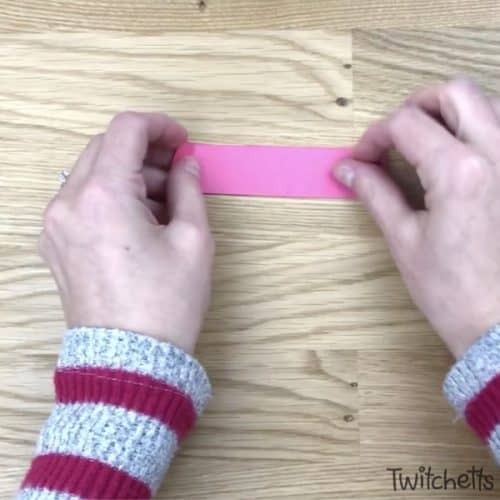 Take the ends of the first strip and slide them out to the side. 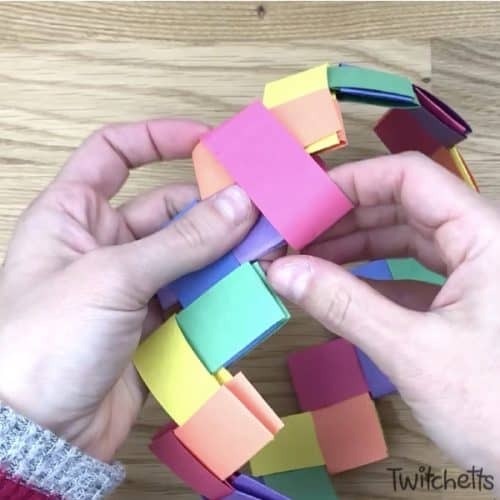 Then place them into the loops of the last link. It will take a little bit of wiggling, but once it is in place the strip will fold back at its original creases and you will have your crown. Now to make it a unicorn crown. 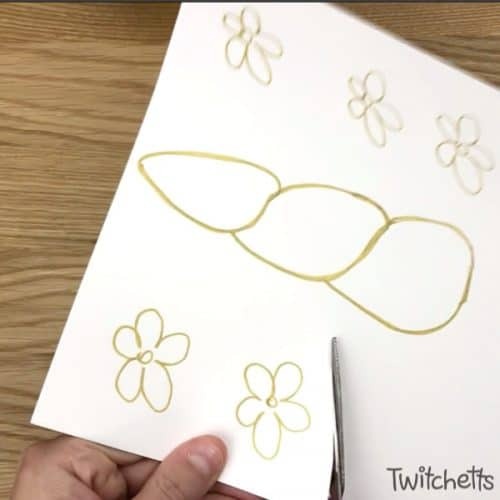 On your piece of cardstock draw out some flowers and a unicorn horn. Again, refer to the video to see how to draw the horn. 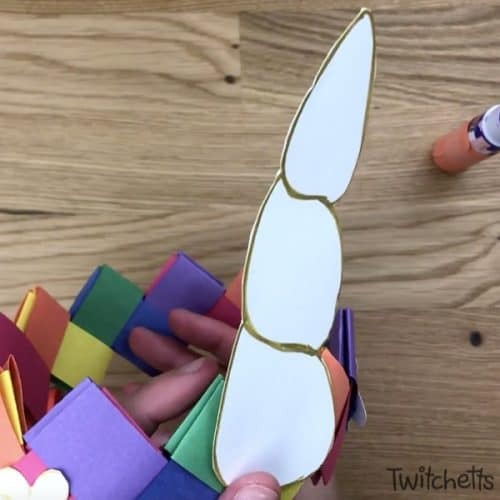 OR you could use our Build A Unicorn craft as a template. Cut out your flowers and place on your crown using a bit of glue. Finish it with the horn. Then you are done! Wear your unicorn horn and go on an adventure! My daughter is loving this unicorn crown craft. And I’m loving that she gets to play with it once it’s created! 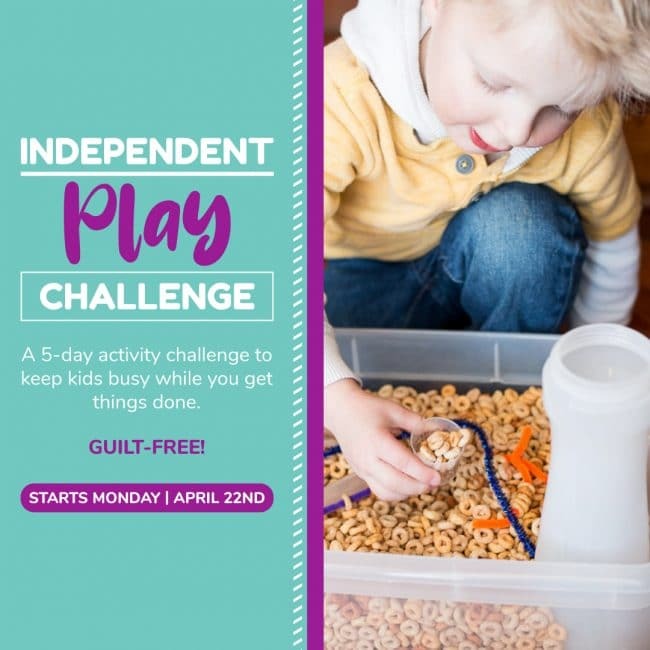 Check out the step by step instructions in our video! 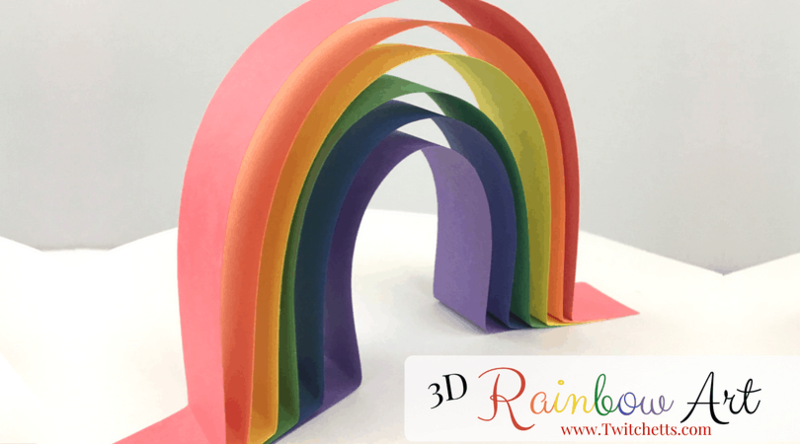 If you loved this unicorn craft, please pin it to your favorite Pinterest board!